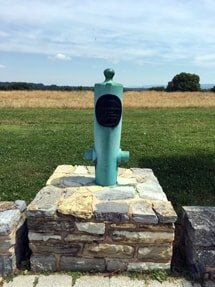 There are six mortuary cannons at Antietam National Military Park in Sharpsburg, Maryland. 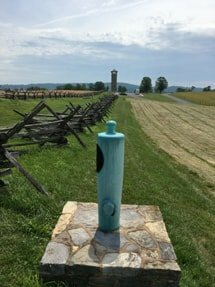 Finding mortuary cannons at Antietam is not difficult, but they are spread through the battlefield. For bicyclists, a little planning is required. Three of the six mortuary cannons honor generals from the Army of the Potomac, the Union army that fought at the Battle of Antietam, September 17, 1862. And three mortuary cannons honor generals from the Army of Northern Virginia, the Confederate army that invaded Maryland from Virginia. They are listed in the following table, ordered for convenient visitation on a bicycle route. 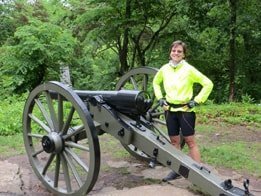 Note: Since the mortuary cannons are nearly identical (except, of course, for their inscriptions), this page displays photographs in a table rather than use the slideshow format adopted by other Civil War Cycling Scavenger Hunt pages. 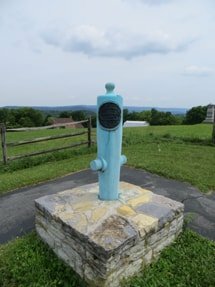 Can you find mortuary cannons at Antietam using the following maps? Give it a try! 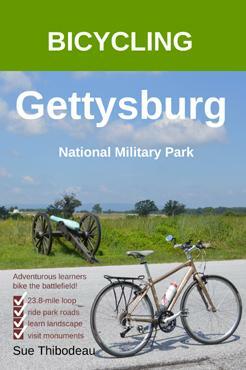 Remember, Civil War Cycling Scavenger Hunts require you to think a little so that you can more easily learn a lot. For each map, you will need to hover over the pins and associate the mortuary cannon abbreviation with the table above. 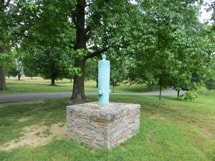 Four mortuary cannons are located north of the Observation Tower on the Sunken Road, also called Bloody Lane. 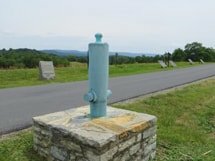 Two mortuary cannons are located west of the Burnside Bridge and south of Boonsboro Pike (Route 34). 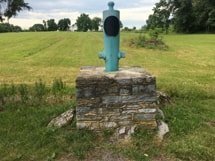 Thanks for Finding Mortuary Cannons at Antietam!